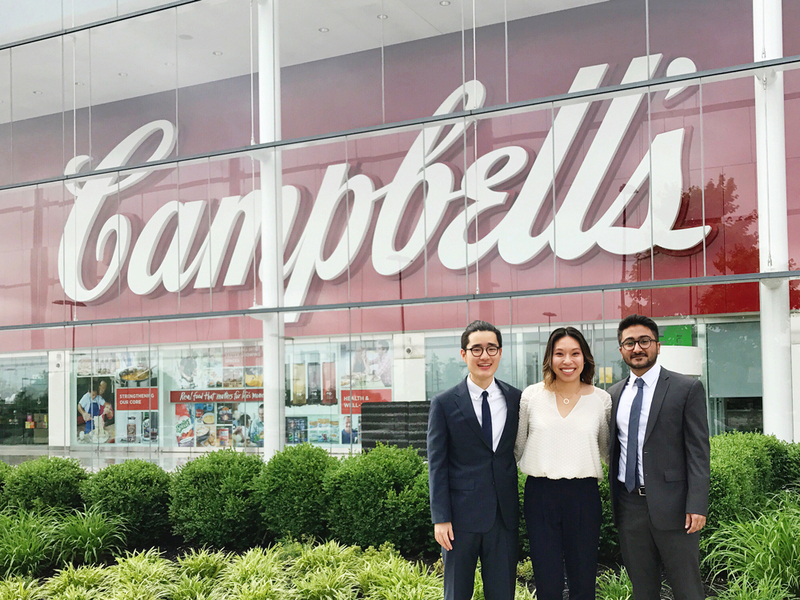 Ben Hwang, Zaayer Merchant and Isabel Ngan won top honors at the 2017 Collegiate EFFIE Awards for their IMC plan for corporate sponsor Pace Foods, a division of Campbell’s. 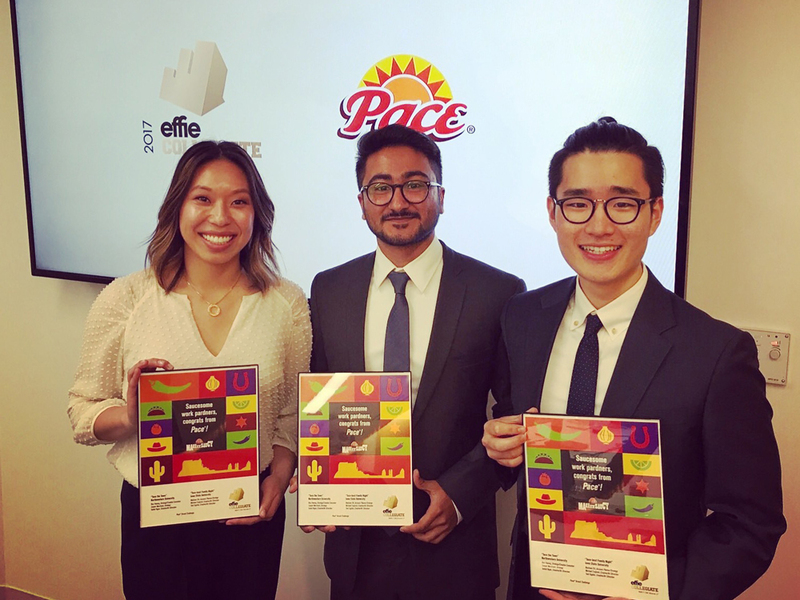 A team of three Northwestern University students won top honors at the 2017 Collegiate EFFIE Awards for their breakthrough integrated marketing campaign, “Taco the Town,” for corporate sponsor Pace Foods, a division of Campbell’s. The team was comprised of students Ben Hwang, Zaayer Merchant, and Isabel Ngan. The Collegiate EFFIEs are fashioned from the American Marketing Association’s prestigious EFFIE Awards that celebrate marketing effectiveness around the globe. Two of Northwestern’s team members, Hwang and Merchant, are graduating with an undergraduate Certificate in IMC from Medill. The team credits their IMC training for helping them to reframe Pace’s business challenge into a meaningful consumer solution. IMC Lecturer Judy Franks advised the team in their preparations for the competition. Before joining the Medill faculty, Franks served as both an EFFIE judge and as a member of countless EFFIE award submission teams during her advertising and media agency career. Her advice to the students: Once you land on a consumer-centered solution, all the rest will fall into place. Get as much in-depth information on the consumer journey as possible. Getting in their shoes really helps clarify whether something is insightful, irrelevant or just plain harmful. The consumer always comes first, but the client still has to sell their product. The right balance of the two is critical. Don’t be afraid to change your campaign. We changed our ideas completely at least three times before the initial submission. Learn more about the EFFIEs and the Collegiate EFFIEs on their website.